The Porsche Road&Track by Öhlins suspension package features the latest in twintube technology straight from Grand Prix competition. It’s a balanced suspension package that provides racetrack performance with street comfort, with twintube shocks, both front and rear, that have through-rod damper technology. Both fitments are light weight, corrosion resistant, fully rebuildable for a lifetime of service, and come with a two-year limited warranty. The Öhlins Porsche shocks also feature segregated compression and rebound adjustors, are pressure balanced, and have preload adjustability. The TTX46 Club Race version has a 46mm piston and a 30mm shaft. 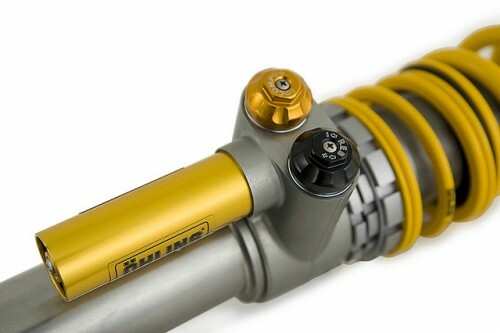 The TTX36 Inline shock has a 36mm piston and 14mm shaft. Both versions provide high-end performance for mid-range prices.